Clipped Golf Ball 2-3/8 in. Dia. 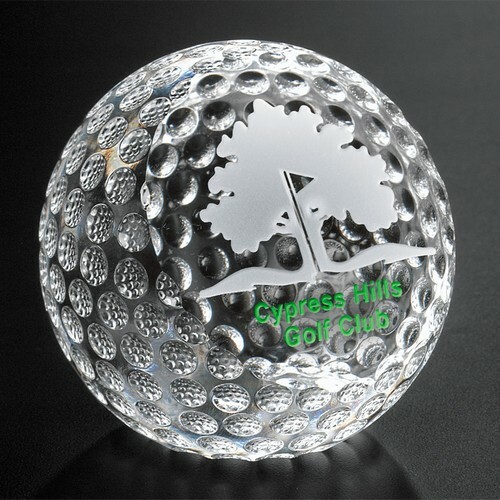 The beautifully handcrafted optical crystal golf ball features striking details. 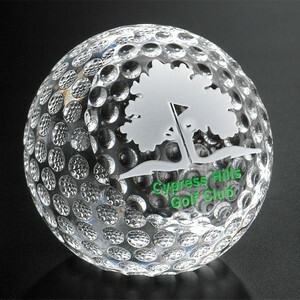 A polished, slanted etching area on the front provides the perfect place for a logo or message.